Solitude … the pleasure of your own company. Bear really enjoys his massages. This past summer was filled with both tension and excitement as we took an extreme leap of faith and acquired a 100-acre horse property in south central Ontario. Naturally this has meant a huge adjustment on many levels. Change is never easy but if we don’t take a chance on change how can we ever expect to achieve our dreams and grow? A property such as this has been a long-held dream for both my husband and I. For him a chance to build his dream home and live in the country. For me this fulfills my deepest wish to live surrounded by nature and horses, to be a part of the country culture and to have a place to build my FEEL (Facilitated Equine Experiential Learning) practice. Still, everything takes time. We’ve been on the farm just over a month ~ a time of exploration and settling in which will continue for a little while yet as we get acquainted with its nuances and understand its needs. I find this both exciting and a tad intimidating, but am confident we can manage the challenges that lay ahead with all the good people around us who are sharing in this adventure. 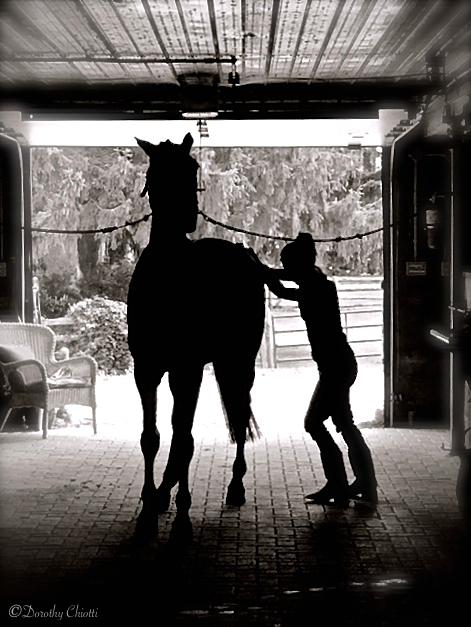 A more complete telling of how this dream manifested will appear soon in my blog Musings of a Horse Mom. 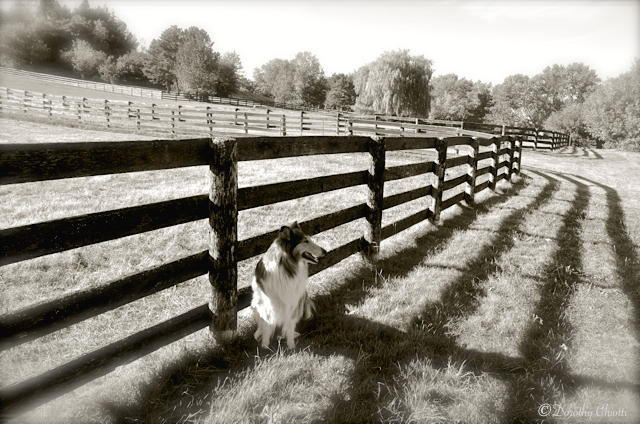 One of many happy outcomes so far is that Abbey, our rough collie, who lost her mom two months ago, has come into her own as a farm dog. She lives in such anticipation of a day at the farm (we don’t live on it yet as we still need to build a house) that she won’t eat her breakfast and she starts getting after me if I delay our departure. She’s been quick to find her legs there and is gradually learning that to herd the horses is not advisable. Fortunately, all of the horses have demonstrated great patience with her as she rounds this learning curve. I am so happy for Abbey to have this distraction and new way of being while she moves on from having her mother constantly by her side. Abbey has come into her own; become more confident. It has been an amazing transition to witness. Change has been good for her. Change is good for all of us if we just allow ourselves a chance to grow.